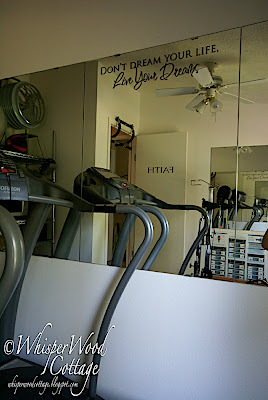 I wanted to do something in my workout room. 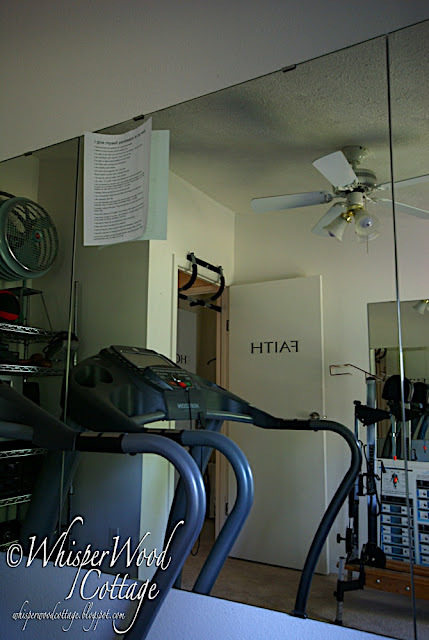 I have a bunch of affirmations posted next to my treadmill. As I am running, they provide me with positive thoughts about what I want to create in my life. I thought this would be the perfect spot to add a larger motivational quote. 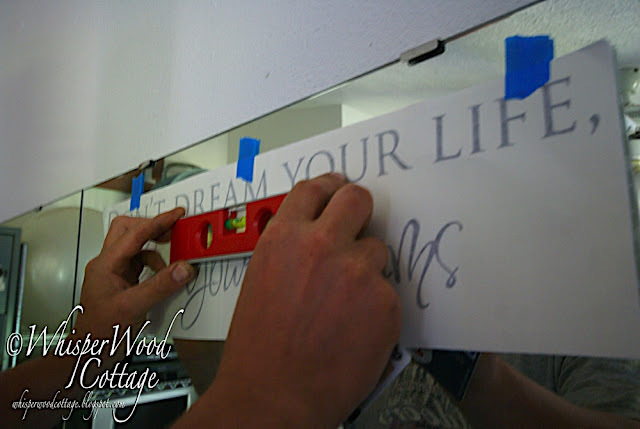 I ordered my vinyl lettering from the Design Divas Gallery etsy store. This quote is item #1611. When I received it in the mail, it came with this handy instruction sheet. We started by positioning the quote with tape and a level. 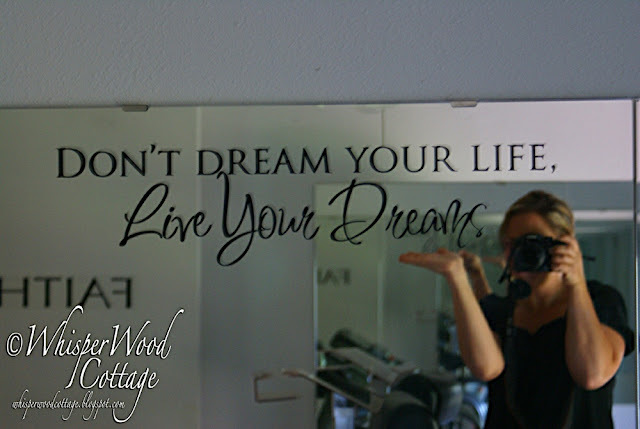 We followed the instructions to adhere the quote to the mirror. That's all there was to it! So easy peasy, right? I love an inexpensive project that comes together in little time but has a big impact in a space. I can see how these wall quotes can be an addiction. I'd like to add some more inspiration to the remaining mirrors in the room. I'm check out the other quotes that the Design Divas offer or maybe I'll create a custom one! 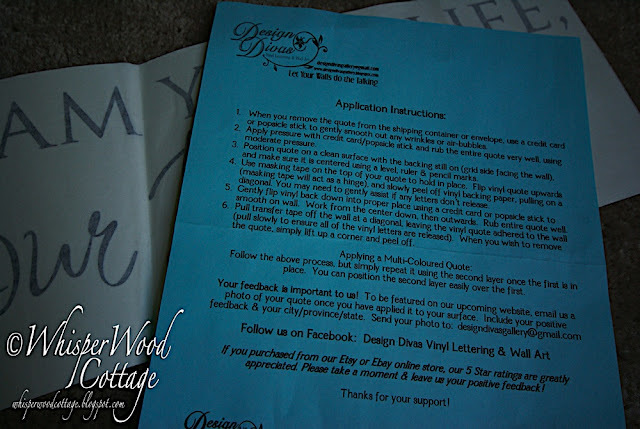 I also found out that I can order vinyl sheets from the Design Divas and make my own design using a Cricut. The wheels are spinning! Thank you, Design Divas, for providing me with such a fabulous product! 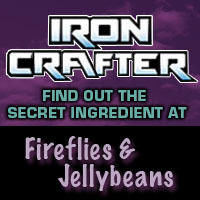 Use one product from any of our sponsors (Not one product from each sponsor--just one product. And did you know the product prices starts as low as $1?--that's affordable enough for anyone to enter.) Visit our sponsor/affiliate product pages at http://diyclubinc.com/ to read about the all the products you can use and to order whatever inspires your next project. Take a picture of the DIY Club Inc SPONSOR product that you used, with your project, and add it to your post. So, what do you think? 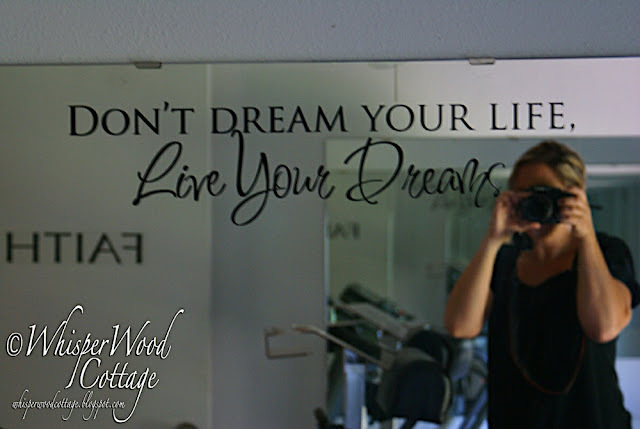 Are you dreaming your life or living your dream? Which Design Divas inspirational quote would you love to see in your own home? Love it and you! That is such a perfect quote. I love the space and inspiration!! Great quote! I bet you look as great as your room does. Great quote!!! I am just about living my dream right now. A few things need tweaking but over all, doing good!! 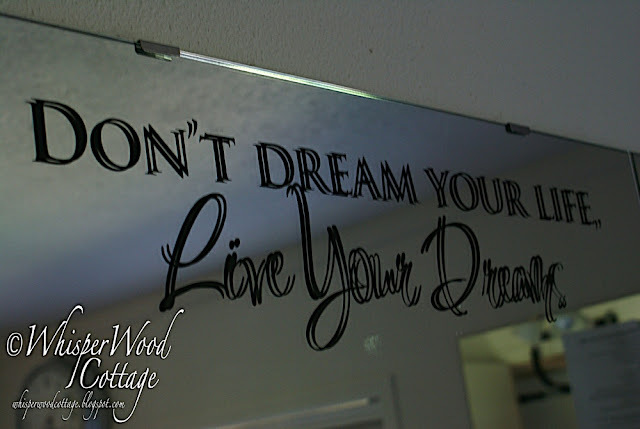 Your room looks fab and that quote on the mirror is a perfect touch! I want so badly to add quotes to my wall. My problem is that I can't decide which quotes and which wall(S). I love words and expression so much that I would go hog wild if I let myself. 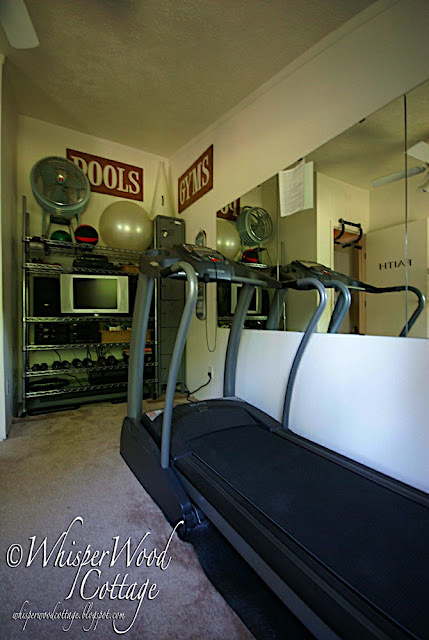 Your workout room looks fabulous. 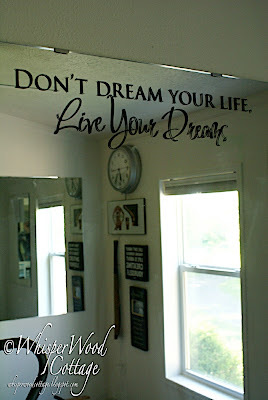 Words on mirror --like it. Very nice and I love your site! 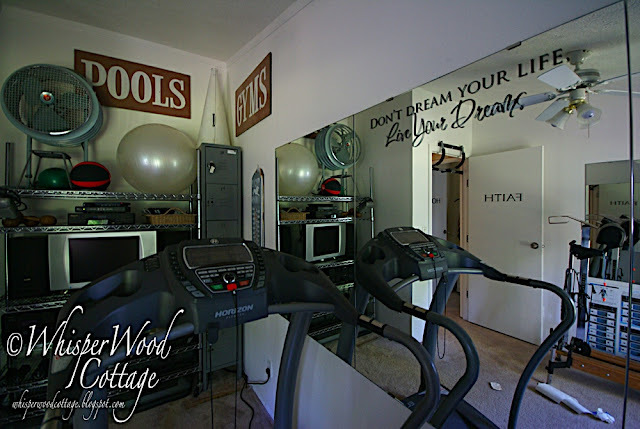 I am so in awe of your workout room...it is fantastic. Great quote...that would keep me motivated!